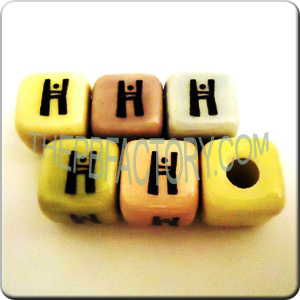 Adorable 13 mm (approx.) 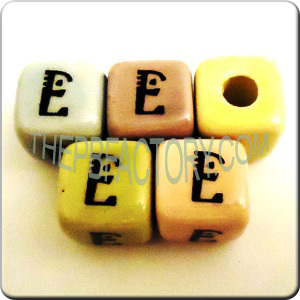 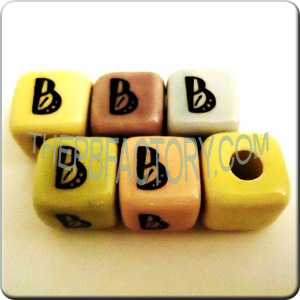 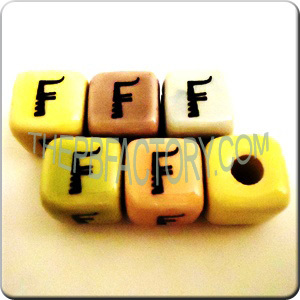 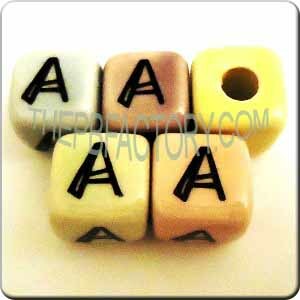 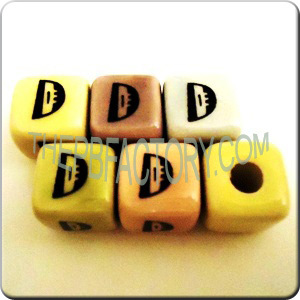 pastel base color alphabet beads with black letters in a cool font. 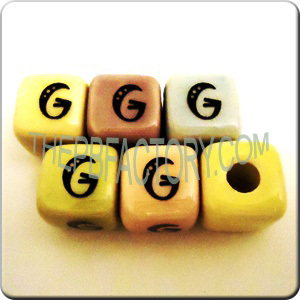 The colors are: Green, Light Blue, Lavender, Yellow and Pink; All in pastel tones. 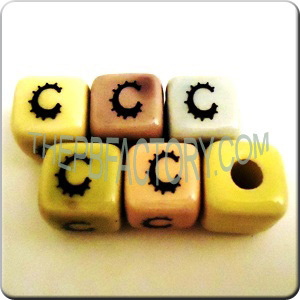 Sold per packages of 25 units, each package contains five units of each of the five mentioned colors. 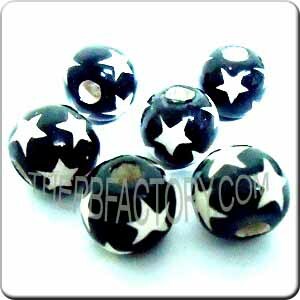 The beads have a 4 mm hole aproximately.